Muffin has a wicked personality and great sense of humour. 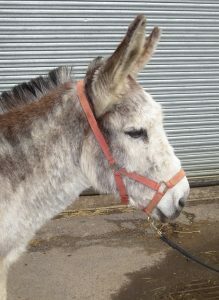 However, when he needs to be, he is very gentle and kind and loves a good cuddle. Tommy is very big donkey and some people think he is a mule, but he is not. He came from a Donkey Derby Racing company and can be seen on their website pulling a cart, known as a “sulkey” in the ‘trade’. 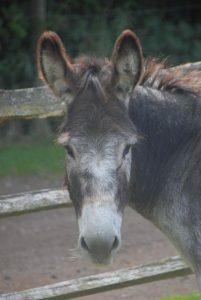 He is lovely and likes to make a lot of noise braying, especially when it is feeding time!